Holy Week, or “Semana Santa“, in Madrid is more than just watching one procession after another through the streets of Spain’s capital. It’s truly special – if you can get close enough to admire it. I’ve already watched the Domingo de Ramos procession last Sunday evening and expect to watch more today/Wednesday/Miercoles Santo, as well as tomorrow’s Jueves Santo, then Friday’s Viernes Santo, and Saturday’s Sábado Santo. There are no processions on Easter Sunday, somewhat surprisingly to me. The few Spaniards whom choose to stay home for Holy Week and not travel to Andalucia, to “el pueblo”, or to travel abroad have a special treat. Not only do they get an eyeful of Spanish religion at its pinnacle but they also enjoy shorter lines at Madrid restaurants, more parking spaces, less traffic, and generally a quieter Madrid. Semana Santa processions are beautiful and popular among the remaining Spaniards and a few tourists whom are aware of them. Many of these “floats” are some hundreds of years old, made anew each year with special polishing and care, new flowers bought and expertly arranged around the effigies of Virgins and Christs. These effigies typically sit upon a kind of platform surrounded by flowers and candles, carried on the backs of the faithful whom are usually the sons of those whom had carried the same platform for the previous generation. It’s considered a great honor to bear the wait of the several-thousand-pound platforms. 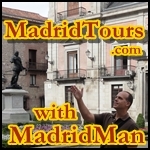 I’ve seen several processions in Madrid but this city is not known for them – although they are nice. Those in nearby Toledo are particularly pretty. 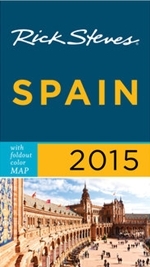 And, of course, those in Sevilla are the best in all of Spain. Not only does Madrid – and Spain – have wonderful processions, but they also have TORRIJAS! Torrijas are the typical dessert/breakfast/merienda of Semana Santa-Holy Week. 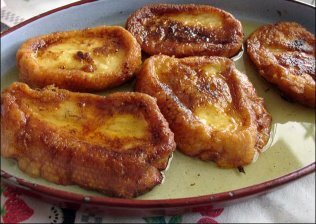 Torrijas are generally made by adding slices of bread to milk, egg, lemon, cinnamon, sugar, then frying the bread. It’s a complicated process and since I’ve never made them before I won’t profess to know anything about their preparation but here you can find one recipe for torrijas in English. But I sure love to eat them every chance I get because they’re generally only available during this Holy Week. This entry was posted in About Spain and tagged christ, cristo, Easter, Easter week, Holy Week, jueves santo, miercoles santo, pasos, processions, recipe, sabado santo, santo, Semana Santa, torrijas, viernes santo, virgen. Bookmark the permalink. Really?! That’s good to know. Too bad I don’t have an El Corte Inglés near me but there is a neighborhood bar which serves “Torrijas” all year long, though, but they don’t taste the same outside of Holy Week, somehow.